If you are setting out to upgrade your car stereo system base, you probably know how a sub can transform your car audio experience. And what better way to get the best out of your subwoofer than going for the ultimate beast that packs enough power and size to move enough air, taking your listening experience to the next notch. Now, this is where the 15-inch car subwoofers come into the play, and they have something to show for it. Tag along to find out what best subwoofers are out there, as well as a few things you cannot afford to miss when selecting and using these subs. One outstanding thing about this speaker is its performance; if you are looking for real bass, then this might be the sub for you. You can count on its ideal power handling capability, which is also quite impressive. Another impressive thing is the price since you can always get a great sub within your budget. Among the leading features, that I have come to love in this subwoofer is the Anodized Aluminum voice coil, thanks to its heat dissipation as high as 100 degrees at max power to keep the subwoofer cool no matter how hard I push it. Another noticeable thing about this sub is the ideal sensitivity at 86dB. When combined with the extended frequency response, these features go a long way to offering an unprecedented performance. When it comes to mounting it, ensure you have sufficient space to accommodate the sub’s required mounting depth of up to 7.57 inches, since it is built with a large basket to contain all its features. Then there is the Flex Fit basket frame that features slots rather than single screw size holes for easy adjustment of the sub during mounting. Installation can’t get better. Not forgetting, the 4-ohms impedance also means getting more performance than you would with an 8-ohm sub. This Rockford Fosgate 15 inch subwoofer also conforms to CEA-2031 standards, which means it can take on power up to 600 watts RMS and a max of 1200 Watts. Its Stitched tinsel leads tech also comes in handy in reducing the mass of these leads and helps in spreading the stress across a greater area to improve the performance. Lastly, but probably not the least, is the VAST surround design, which goes a long way to increase the efficiency of the speaker in radiating the cone area without compromising the ease of installation. As such, you can count on this sub to get up to 25% increased efficiency in cone radiation over other subs in its class. Despite all the great features though, this sub might blow in about a month if you abuse it right from the start without breaking it in as you should, but it still gets the job done. 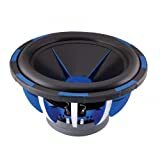 For every real bass head out there, JL Audio usually has something to offer when it comes to shaking other cars at the red light with your subs, and this particular one is a reflection f that legacy. 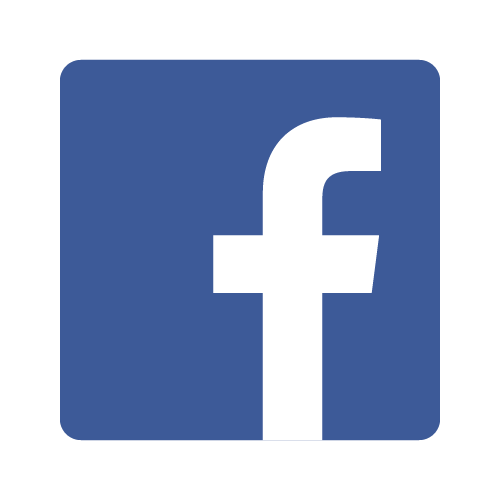 So what does it has to offer for you? Find out next. When it comes to performance, this sub’s 20-200Hz frequency response, the 88.2 dB sensitivity, and the medium range impedance at 4-Ohms is outright incredible. And you can’t afford to miss the low power it requires to push it, as you can use it with an amp capable of delivering 800 watts and 500RMS and still get ideal output. At thermal power handling capability of 500W, this JL Audio 15-inch sub might be one of the most reliable options out there. Not forgetting, the DMA optimized motor system also proves handy in use. And then there’s the excellent excursion that offers outstanding performance in its class with low and clean bass. Another thing I like most about it is the linearity capability that also adds to its overall performance to give you the value for your money. Then it has this elevated frame-cooling design that keeps your subwoofer cool to prevent burning itself out during extended use. Just make sure to have a spacious enclosure with about 7.15” mounting depth and a cutout of around 15.75 for easy mounting. A beefy 2.5 inches voice coil diameter also goes a long way to keeping the sub working in heavy-duty use. Although this sub comes with numerous exciting features, sometimes the plastic at the bottom may come loose and compromise the wires to the terminals. Skar might not be as popular as most other high-end brands on the market, but this sub still packs a lot up its sleeve, enough power to compete with the other leading subs out there. Skar Audio VVX 15″ sub stands out with several things, but one of its most exciting aspects so far is the features, especially the high strength paper cone that offers ideal air movement to keep the subwoofer performing at its best. And if you are looking for a powerful sub, then this one might offer more than you can ever bargain for with its1200 watts max and 600 watts RMS. Not forgetting, the sensitivity comes in at 90.1 dB, and the frequency of 25-350 Hz offers boom below the human ear can discern, giving you ultimate bass. The advanced airflow system also proves handy by cooling your sub despite long hours of heavy use. And the sheer power that this beast can handle also earns it a spot among the top ranking subs in town. Not forgetting, the 2-ohm(4-ohm also available), 2.5 inches copper voice coil and the massive motor structure allow it to get pretty loud without distortion, even at high power output. For a clean bass at high volume, this Skar 15″ sub might be the one for you. Moreover, it can work for hours, thanks to the ideal airflow that keeps it ventilated throughout. And you can’t afford to miss the clear, low bass that it offers, hence bringing out the best in your music. If wired to the high power amp, the sub might bottom out in some case, making a horrible sound, so keep it at the right power level. 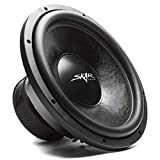 If you are looking for a good 15 inch sub that can deliver deep bass without much distortion at high levels, then the Dayton Audio might be the place to turn. The first thing I love about this sub is the 4-layer, 4-ohm coil, which can offer high power handling to keep your sub going even if you abuse it accidentally. Besides, the sub is capable of delivering up to 92.8 dB at a frequency response ranging from 21-600Hz, to offer an unparalleled bass output that you can hardly find in this class of 15″ subwoofers. Then the triple shorting ring for keeping distortion at the lowest also proves far-reaching in keeping the bass clean at high volume. And to offer the desired rigidity, the cone features an extra-thick black anodized aluminum. Remember, all you need for a perfect fit is ensure you have a mounting depth of up to 7.01″, and keep the cutout diameter at 14.01″. Not forgetting, the highly vented motor helps eliminate compression, hence giving the sub an ideal excursion that adds to its outstanding performance. Not to mention, this Dayton Audio 15″ sub packs enough rigidity to work correctly at up to 1600-watt max, or 800 watts RMS power rating, offering a top-of-the-bar bass output. Thanks to the 2-layer coil design, this speaker’s reduced EMF goes a long way to enhancing the sub’s performance. Besides, this sub is excellent for vented as well as sealed enclosures, giving it the versatility you would look for in these subs. Above all, the high-quality materials offer reliability in use as well as durability to provide you with a return on your money. The only downside about this sub is that it will require a bit high power and an efficient driver to keep it going. The sub is also quite big and bulky, so you need a slightly sturdy and big enclosure too. 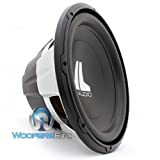 In case you are looking for a heavy-duty sub to take your car stereo performance to the next level, the MOFO Power Acoustik 15 inch subwoofer might be the solution you are looking for, and it has a lot to offer. Among the leading features in this 15″ sub is the sheer power that it takes on, which translates to outstanding output on the other end, with bass to blow you away. The surround is also built to impress, thanks to the polyether foam, which when combined with the Non-pressed pulp Cone delivers an outstanding air movement for precise, yet heavy low bass. And the terminals have something to offer too, with the Nickel-plating 8ga compression wire design, making installation not only simple but also efficient enough. And when it comes to taking on power, this monster is always hungry for more, demanding up to 3,000 watts peak power and an RMS of 1,700, but on the output, it doesn’t disappoint too. Ensure you wire it to the 4-ohm impedance to make the most out of your sub. The frequency response is also impressive, spanning from 20Hz to 2000 Hz and the 85dB sensitivity further adds to the outstanding performance of this sub. Not forgetting, the spiders also prove reliable with the dual Poly-cotton design for performance under stress and durability as well. This sub boasts a solid frame, made of Die-cast Aluminum for durability and ideal support to the other parts of the speaker. Moreover, it also has an impressive cone with a dust cap fitted with aluminum stiffeners to eliminate cone flex during the excursion and cool the coil at high performance. 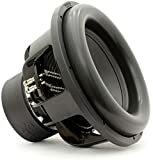 And with the cast aluminum basket featuring an increased bottom octave output, this sub stands a chance of being one of the loudest 15 inch subwoofer out there. The only problem is that it might blow at low power RMS ratings. Hence, you might need to consider the power you push through it to avoid early damage. In cases where the budget you have set aside goes only as far as $100, you would still want to get an ideal sub for the buck. The good news is that the market has a good number of those too, and here are some of them. This can be a great sub if the budget is not on your side and you still want to make the most of the low frequencies with your car stereo system. And not only is it great with the features, but the design has something to offer too. 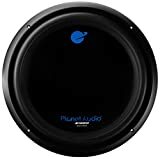 With a high power handling capability, this Planet Audio 15″ subwoofer has an edge when it comes to meeting your bass needs. The design also seeks to ensure the durability of a lifetime, so that you can expect a good return on your money. Not forgetting, the ability to keep from overheating even during long hours of use also adds to the compelling benefits of this sub. The dual voice coil in this sub is one of the reasons it hardly disappoints since it offers super easy installation as well as a high performance at 4 ohms. What’s more, it gulps enough power at 2100 watts peak power and 1050W RMS to give you high-quality bass, with a 25 Hz free air resonance. And when you factor in the 88 dB sensitivity, you can expect more than just bass from this sub. Besides, the surrounding foam also has something to offer, thanks to the durability it can come with, not mentioning the ability to withstand the efficient excursion that it can deliver. Then there’s the Polypropylene cone, or the PP, which is resilient and durable on the job by offering both enhancing the sub’s performance and durability as well. Perhaps the best part is that all it can ask for is sufficient enclosure space, with a mounting cutout of 13.9 inches and a depth of 7 inches. A customizable trim ring comes in quite handy in the installation too, making your work easy and ensuring the sub fits snugly in the enclosure. Make sure not to wire wrongly, to avoid pushing your sub with wrong ohms. In such a case, the sub it might not only be unable to perform well, but it may also blow out quite fast in such configuration. 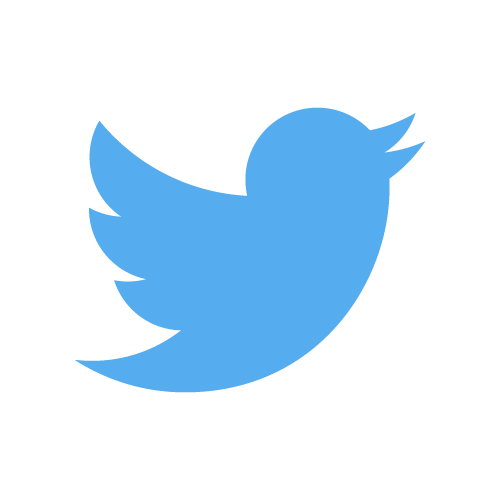 Here comes yet another good budget 15″ sub. But this is not to say you should doubt the performance by any means. Well, thanks to the ideal features and a stunning design, this Hifonics 15 inch subwoofer packs quite some impressive performance for virtually every bass-head. For any sub to perform to the maximum, the magnets play a significant role, and this one’s double-stack magnets with a ported nickel backplate for heat-dispersing hold true to this requirement. The high performance ultra-ridged stamped steel basket also offers ideal support for the other features of the sub. Besides, you can hardly go wrong with this sub’s performance at 86dB sensitivity and an excellent frequency too. And the dual flat spider with its integrated tinsel leads Polypropylene cone offer a rather outstanding performance too when it comes to the excursion and air displacement. You cannot afford to miss the 4-ohm voice coil too, designed to perform even at extremely high temperatures, giving the speaker perseverance and durability in use. It means you can push your sub to near its max 1200 watts or the rated RMS 600W. If mounted in the right enclosure, at a depth of 7-1/4 inches and a suitable cutout diameter of 13-7/8 inches, this speaker can put on quite an impressive performance. If there’s one aspect that makes this sub impressive, it has to be the fact that you can use it a ported or a sealed enclosure. What’s more, its high power handling capabilities not only gives it unparalleled performance but also enhances the durability. And the best part of all, you can expect to sink into clear and low bass even when you have the volume turned high. Despite the lots of impressive aspects, this sub may not be as durable as you might expect, but make sure to handle it well if you want to get lasting service. The Massive Audio has a reputation for blowing bass enthusiasts away with outstanding low frequencies, and this sub seems to have what it takes to stop your breath too. Among the leading features, you can count on in this sub is the rugged industrial textured aluminum basket that offers heavy-duty support to the other aspects of the subwoofer. Besides, it comes with one-piece pole-plate that offers additional motor force for ideal performance. And that’s not all yet; the sub also packs more power thanks to the 250 oz double stacked high -level strontium magnets. And at 3000 W peak power and 1500W RMS, you can expect this sub to ask for more, and give you as much base on the other end too. Remember, the 93.8dB sensitivity, and high-frequency response means outstanding performance. All you need to do is ensure you have wired it at 4 0hms to make the most out of your sub and amplifier alike. It also boasts of an oversized mirror image double poly or Nomex spiders that I find quite compelling for delivering high-level performance. 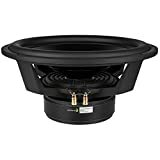 This Massive Audio 15 inch sub has heavy-duty wires for direct input connection going to the voice coil, offering enhanced relationship and performance. The custom rubber gasket and the magnet boots also provide additional safety to the critical parts of the sub. And that’s not all yet since the fiberglass woven dust cap helps to prevent the coil from wobbling during high levels of excursions. Although it packs many exciting features, you might need a bit more space to get the best out of it. The need for additional space means you there are some vehicles where its use might not be practical. You might have heard about Orion so far, but if you are yet to, then you might need to check this sub and find out for yourself. Perhaps the best feature that this sub comes with so far is the sheer power that it packs, at an astounding 4000 watts max and 2000W RMS – the most powerful 15″ subwoofer on our list today; I can push it as far as I wish to go without the risk of blowing it out. Then it also has the ideal polypropylene cone, which is not only sturdy in use but also offers reliable durability. What’s more, the rubber tri-radius surround comes in handy to move the air and offer that pounding bass you would feel on your chest. And at 30 dB and 31Hz, you can expect to get some crazy bass with this monster sub. Not forgetting, the 2-ohm voice coil comes with an enhanced cooling system that ensures the sub can still perform at high temperatures without risking a blowout. Just give it an ideal enclosure, with a cutout diameter of 15.6 inches and a mounting depth of 12 inches, and leave the rest to this sub. This Orion 15″ sub pounds hard if you push it with a powerful amp. Better yet, it doesn’t necessarily take on much power to offer outstanding performance since it can sound great even at 1000 watts. The Sundown Audio claims its position in the market as one of the loudest and yet great subs around, and it has everything to show for it. Among the things that stand out about this sub is the ultra high excursion that makes it ideal for air displacement, bringing out the best in my car audio system. Then there’s the part I love the most about it, the linear suspension and the lowest level of bass extension it can deliver without significant distortion. Not forgetting, the 3000 W peak power and 1500 W RMS is enough to convince you that this sub means business when it comes to performance. Most importantly, keep the mounting depth at 10.85 inches and the cutout diameter at 13.83 inches for ultimate fitting and performance. 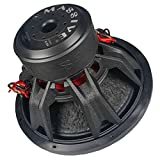 Its 6-spoke frame model and a custom-tooled adapter offer sufficient space for a spider up to 10 inches wide and the 4-ohm voice coil, which adds to the top-of-the-line performance of this speaker. And there’s more, since the low level of suspension, 86 dB sensitivity and the 32 Hz frequency response offer the right combination for your sub. With these features, you can expect a punchy upper bass peak without distortion that is usually typical of the conventional subwoofers. Among the leading benefits of this X-15 V.2 D2 Sundown Audio sub is the minimal level of distortion even at bass-peak levels. What’s more, you can use it for both ported as well as sealed boxes and do well in small as well as large enclosures. Further, the design is aimed at delivering a high level of bass and long lasting service. The only downside you might point out in this sub is the fact that it could cost you pretty penny. However, when you factor in the service it can offer, it turns out to be worth the extra cost. When it comes to competition level, you can count on this subwoofer to put you right ahead of the crowd. And it’s all about the design and features. Some of the advantages of this sub include the power it packs, which is ideal for any competition level sub in its class. And there’s more, the heavy-duty frame offers perfect support and enhances the subs durability too. 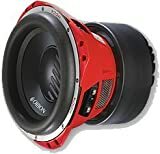 The first thing I noticed about this sub is the sturdy red aluminum basket, which not only looks solid but also offers the support you would expect for these kinds of speakers. Another clear thing is the vast foam edge as well as the paper that features fiberglass on the cone, which also adds to the outstanding performance of this sub. Moreover, at a sensitivity of 92dB and frequency response of 25 to 1.5KHz, this sub has virtually all it takes to take your audio experience to the next level to incredible low bass. What’s more, it comes with a 210 oz high-performance double ferrite magnet as well as a dual layer of Conex Spider, and a four-layer 2-ohm voice coil, all which combine to deliver the crazy bass. Not forgetting, the high level of power this sub can handle at 2500W peak power and 1250W RMS, the similarly impressive output that it delivers is what puts it at the competition level, and you could find out its strength too. Make sure to have a well-built enclosure, with the cutout at 13.98 inches for a snug fit and the mounting depth capable of accommodating its 8.07 inches, and this sub will not let you down. 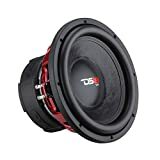 This DS18 15″ subwoofer can max out quite fast, mainly when you use it with a highly robust 1-ohm stable amplifier. Another thing you should note is that you might have cases of popping after several months of use, especially if you abuse it quite often. How To Choose The Best 15 Inch Car Subwoofers? Making the right choice in these subs could mean the difference between a total waste of your money and time, and a sub that will announce your approach from blocks away. When out shopping for 15-inch subs, here are some of the things to check out. First, keep an eye on the driver size, in which case the SPL and low frequencies come in handy to determining the potential of your sub. Besides, you need to keep an eye out for the benefits and downsides that these subs could feature so that you can decide wisely. Understanding the technology behind these speakers is also something you need to seek out before stepping in, which also encompasses the right amp to use with which speaker. the bank to find the right sub for your needs. Using these subs come with a wide range of benefits that you can make the most out of if you want to take your bass experience to an entirely new dimension. First, when it comes to subs, the size usually matters, and that holds true when you have the right 15-inch sub. One key to the outstanding performance of these subs is the high power-handling rate since they can take up to over 3000 watts and still perform to your expectations. The other crucial factor here is air displacement; the large cones are capable of moving more air, thus giving you louder, rich bass. And when it comes to different types of music, you can still expect these subs to take virtually anything that you throw at them. Above all, the frequency levels make these subs great too when it comes to delivering a high-level bass. Since the most of them have a frequency that exceeds the level of rate that a human ear can hear, which is 20 to 20,000 Hz, these speakers can be ideal for music with heavy basses like pop and rap. You need to be very keen when selecting the right sub on the market (maybe the 10-inch subs are what you’re after for), and this boils down to paying attention to several factors that determine the performance of any sub out there. Here are some of the things you cannot afford to miss. Make sure you understand how powerful the subwoofer is before you invest your money in buying one. It usually revolves around the difference between the peak power and the RMS rating. The RMS is what matters in most cases, and in purchasing a 15-inch sub, any level at 750 or more could be a great deal. You also need to be keen on the impedance, which is the resistance capacity of any sub. These subs usually have low resistance level, so the lower the level, the better the excursion, and as such, the better the performance. What’s more, you need to keep an eye out for the voice coil too. Considering the number of the coils in the subwoofer as well as aluminum protection goes a long way. Any ideal sub at this level should have at least four coils. A large sub like the 15 inch would be able to deliver more bass thanks to the fact that it can displace more air, and this can be an excellent factor to rely on than trying to push your speaker to the limit with more power. Going for the right wiring also proves crucial in taking care of your sub. Ensure it is well wired, even if you are using two of them. This configuration helps not only keep it safe but also enables you to make the most out of your amp’s power output. Check to understand the required ohms for the sub before hooking it up to your amp, so you can make the right connection and get the best out of the installation. The other thing you shouldn’t miss in setting up your sub is the enclosure; this single factor could mean all the difference when it comes to the performance of the speaker. Some subs will perform well with a sealed enclosure; others are for ported or vented boxes, while others work perfectly in virtually any cabinet, so consider this aspect beforehand too. Although these giants have a reputation of earth-shaking bass and sheer perseverance, they have seen quite a fair share of controversy too just like the other sub sizes. First, they require a lot of space, due to the sheer size and the necessary box to mount them in, which you should consider before buying. 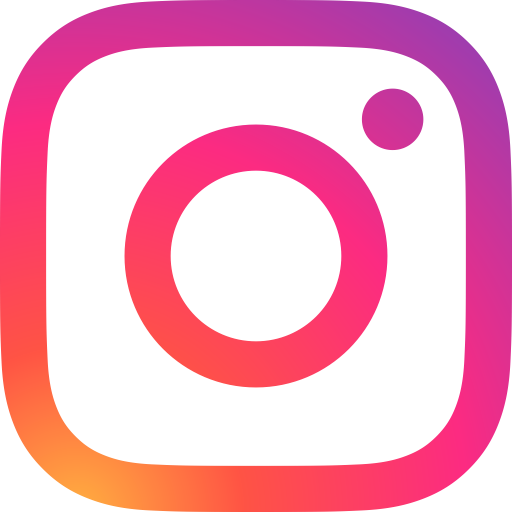 Then they are also blamed for lack of enough responsiveness, which makes them usually lag a bit behind the music, but this is not a significant cost to pay if you decide to trade off the responsiveness for ultimate bass. The other thing that has seen these speakers raise eyebrows is the high level of power required to push them. You need to be ready to feed these monsters with a right amount of energy, so get an ideal amp for them, they are usually hungry for more, but they will set off alarms whenever you stop. And while most users typically blame these subs for blowing out quite fast, make sure you are not one of them by breaking into your sub the right way. Pushing it to the limits from the very first day is a direct menace to your sub. Nevertheless, when it comes to selecting the right 15″ sub, it all becomes a matter of choice. And with all these options at your disposal, you can always go for the one that can best suit your needs, or is right within your budget. Just hook it up to the right amp, and Boom! Off you go.